We’re especially proud to be working with the Green Education Foundation, a group that aims to get kids interested in gardening. Passionate about preserving the world’s natural resources, Victoria Waters founded the Green Education Foundation (GEF) in April 2008 with the mission of providing free sustainability education resources to schools worldwide. What better way to connect kids to sustainability and the environment than a garden? Closer to Earth gardeners at an urban garden site. Over the years, we have donated money and goods to many organizations that improve the world through gardening. After all, it’s part of our mission here at Gardener’s Supply. We’re especially proud to be working with the Green Education Foundation, a group that aims to get kids interested in gardening. Passionate about preserving the world’s natural resources, Victoria Waters founded the Green Education Foundation (GEF) in April 2008 with the mission of providing free sustainability education resources to schools worldwide. What better way to connect kids to sustainability and the environment than a garden? 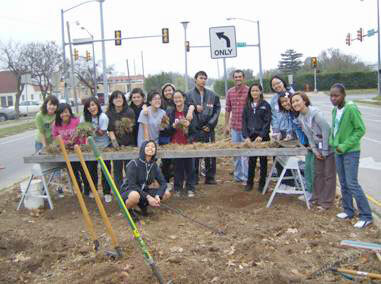 In early 2009, GEF launched the largest youth gardening initiative in history: the Green Thumb Challenge, which resulted in almost 5,000 youth gardens being planted. GEF hopes to increase that number to 10,000 youth gardens. The power of combining motivated kids and their community with an organization like GEF is evident in the success of the 2010 Green Thumb Challenge grant winner, Closer to Earth of Oklahoma City, OK. With its teaching garden started in 2007, Closer to Earth seeks to attract at-risk kids and teaches them about climate change through organic gardening, landscaping, recycling and composting. 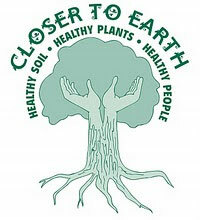 After the Closer to Earth gardeners received the grant, they were largely in agreement on how it should be spent. A large hailstorm earlier in the year had damaged the greenhouse and it was in desperate need of repair. The grant helped Closer to Earth make crucial repairs in late fall. As a result the gardeners were able to grow greens, such as salad mixes and kale, all winter long. They sold half the produce to restaurants and donated the rest to a local food pantry that serves AIDS patients. Very nice that you guys are involved with this outreach program! And nice website by the way.